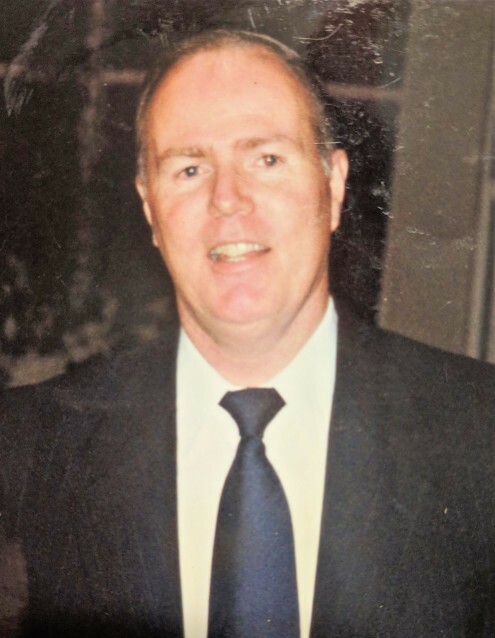 GLYNN, James W., “Jim,” age 71 of Quincy, MA, formerly of Forest Hills, passed away January 22, 2019 after a long illness. Jim leaves high school sweetheart, wife of 50 years, Donna (Hartshorn). He was the devoted father to Donna Jean of Quincy, and James A. and wife Suzanne of Braintree. Jim was the loving brother to Michael and wife Maureen of Hingham, and Kathleen of Boston, long time friend of Jack and Rose Madden of Dedham. He was the most special Papa to his grandchildren Emily, Amanda, Jake, and John, also leaving several nieces, nephews, and cousins. Jim was predeceased by his parents James G. and Catherine H. (Lawless) of Boston. Born in 1947, Jim grew up in the neighborhoods around Forest Hills and Roslindale. As a teen he worked at Fenway Park where he could watch our beloved Red Sox. Upon completing an electrical program at Charlestown High, Jim went on to Vietnam where he served with the U.S. Naval Construction Battalions, the “Seabees.” Jim married his sweetheart when he returned and they settled in Quincy. At that time he also began a 35 year long career at the MWRA, retiring as Electrical Supervisor at Nut Island. As one who could build or fix anything, Jim kept busy during retirement by working at Colony Hardware in Dorchester. The ultimate DIYer and problem solver, Jim tackled every project with determination. He loved his tools, whistling while he worked. Jim was dedicated to his wife and children. Beyond his love of family, he enjoyed singing and playing guitar. In his younger days he would cut a mean rug with his honey, and dominated any billiards table. Jim was a cribbage master and enjoyed playing with visitors. In his down time, he loved watching baseball, Westerns, and military flicks. Known for his hard work and determination, dependability, cheeky sense of humor, creative talents, and the longest eyelashes you’ve ever seen, Jim brought joy, comfort, and security to his family, friends, and coworkers. The void he leaves is immeasurable. Jim’s family sends heartfelt appreciation to his nurses, Old Colony Hospice, Dr. Hankins at VA Hospital Oncology, and all of our helpers, including but not limited to Danny, Jack and Rose, Butch and Dottie, Mike and Maureen, Kathy, and Teddy and Ellen for their patience and support over the last few difficult years. Jim and his family are supporters of U.S. Veterans, the American Heart Association, and the American Cancer Society. In lieu of flowers, please consider donating to the worthy cause of your choosing. A celebration of Jim’s life will be held February 10, 2019, 11-2 at the Hamel-Lydon Chapel in Wollaston, www.lydonchapelforfunerals.com.